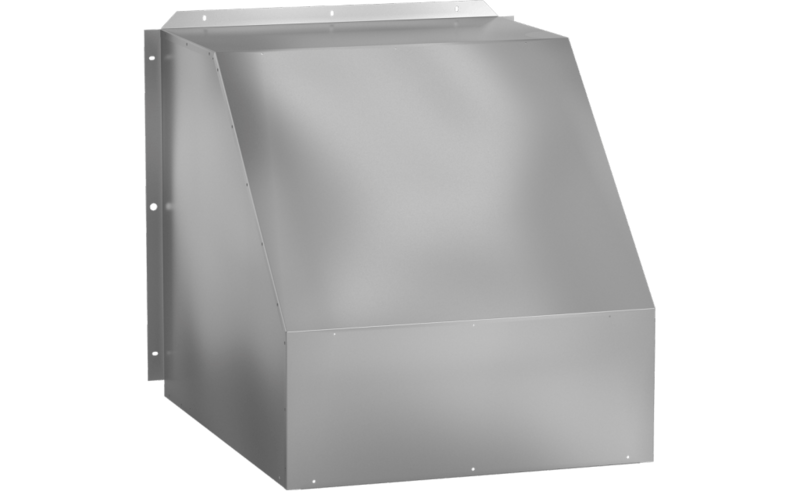 Weatherhoods shield wall openings and dampers from rain and snow. Weatherhoods are shipped unassembled in kit form for field assembly. Construction is of galvanized steel with wire mesh birdscreen.